Microsoft have marketed the Surface Pro 4 to the creative industries. Their heart-warming adverts show beautiful people playing with Bitwig Studio, being very productive and writing symphonies in StaffPad. But over at SurfaceProAudio.com they’ve just released the results of some exhaustive testing which appears to demonstrate that not all is well with the Surface Pro 4 and music software. The software under test was Avid Pro Tools, Steinberg Cubase Pro, PreSonus StudioOne, Ableton Live, Bitwig Studio, Propellerheads Reason, ImageLine FL Studio, Cockos Reaper and Native Instruments Reaktor. The results were mixed. 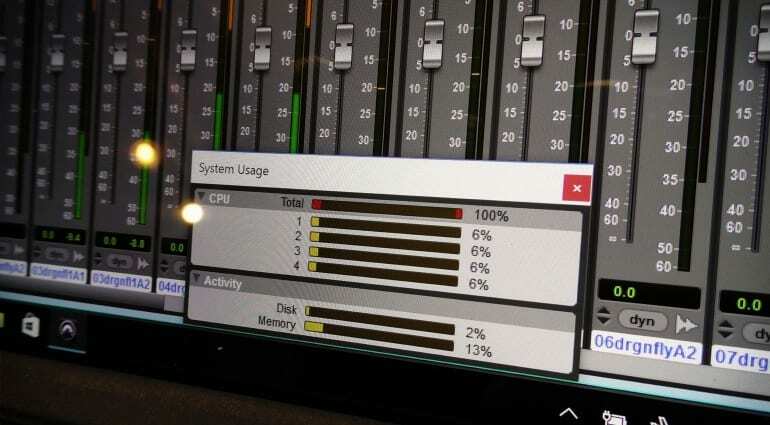 Pro Tools, Cubase and Studio One all struggled with a simple 16 track audio project generating clicks and pops as the processor would unexpectedly shoot up to 100%. FL Studio appeared to have some graphical problems when moving windows when the same project was playing back. 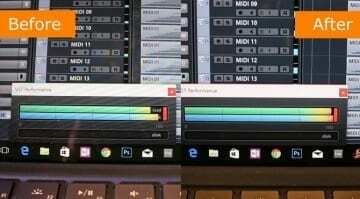 Ableton Live seemed to work very well with both the 16 track test and the Reaktor soft-synth test but when compared to the Surface Pro 3 it showed a surprising drop in performance. On the other hand some software performed really well – Bitwig Studio and Reaper both had no trouble with the tests and performed as you’d expect them to. They were able to demonstrate workarounds with Pro Tools, Cubase and Studio One that at least got them to play back error free but often at the cost of CPU performance. Pro Tools could only really be fixed if you had an Avid audio interface that allowed you to change the buffer size without restarting the program. The causes of the issues are difficult to say because there’s no consistent issue or workaround – some things work and some things don’t – and wherever you try to point the finger something else comes along to contradict it. 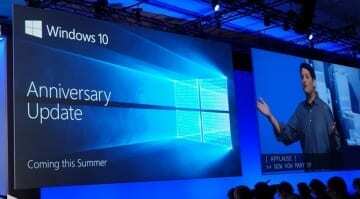 SurfaceProAudio.com say they have been working with Microsoft to try to get to the bottom of the issues but so far have been unsuccessful in finding an overall cause or solution. However, the advice offered in the video should get your Surface Pro 4 making music. They were not able to test the shiny flagship Surface Book or the entry level Surface Pro 4 with the Core M processor as they don’t have one. Hopefully someone will lend them one so they can confirm whether they perform any differently. Although it’s not a complete disaster it is frustrating when the Surface Pro 4 looked like an awesome platform for creativity. The whole touch and pen paradigm is very interesting and refreshing to use. The Surface Pro 3 worked really well with music software and the Surface Pro 4 should have built on that success but it looks like it’s not quite there yet. For more details check out the written conclusions on the blog here, or watch the full video below. 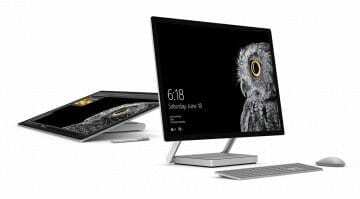 Microsoft Surface Studio for music production? 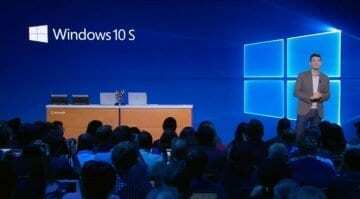 Windows 10 S: Is Microsoft’s new OS any good for music?